Last week an envelope of late 1950s/early 1960s photographs arrived in our mailbox. The lovely 8″ by 10″ photographs were taken by popular lens man Stan Sheets. While Mr. 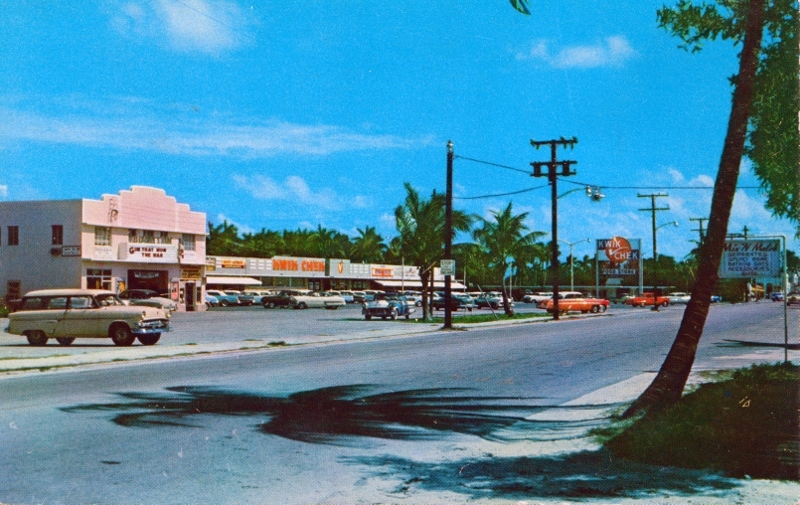 Sheets took photographs for the Boynton Star, the Palm Beach Post and other local newspapers, he also captured street scenes of mid twentieth century Boynton Beach. His foresight to photograph everyday street scenes and share his images with friends and neighbors (in this case friend Charles Cassell), allows us to look back and see the charm of our town a half century ago. Most of the photographs are not labeled, but careful scrutiny of the foreground, background, and other details give clues to the place and the date of the images, now frozen in time. 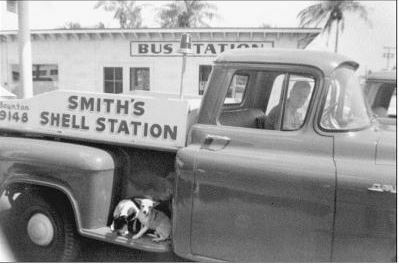 Photograph of Boynton Greyhound Lines Bus Station by Stan Sheets. 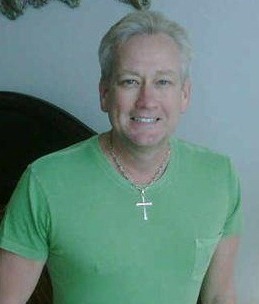 Donated by Faith Cyr. Colorized by Ginger Pedersen. My favorite photograph is of the Greyhound Lines Bus Station. 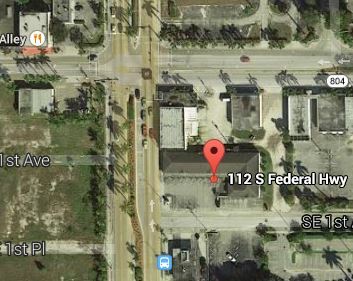 According to the 1959 Polk City Directory the bus station was located at 112 S. Federal Highway on the east side of Federal Highway about a block south of Ocean Avenue. What I find most amazing about this image is the details it captures. Look closely, and you will see that not only did this structure serve as the bus terminal; it played an important role in communication and transportation, two vital components of our town’s infrastructure. The telephone number for the local taxicab (9694) is displayed outside the station, and I spy a telephone booth in the far left of the frame, behind the 1958 Chevy Impala. Try peering into the open door. Barely visible inside is an old Coca Cola machine. The 6 oz. bottles of Coke from the vending machine likely cost 10 cents by 1960. The empty bottles fetched a 2-cent return value. The bus station probably sold many of those 10-cent cokes in the summer, as the station had no air conditioning. The structure had jalousie windows and the door is open to let in a breath of air. 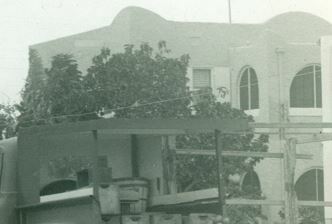 The house to the right of the frame once belonged to the Kolendo family. 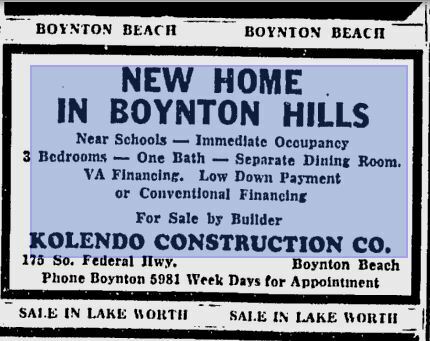 Joseph Kolendo, a building developer, was responsible for developing many of the single-family homes in Boynton in the 1950s. Advertisement for Kolendo Construction Company from 1955 Palm Beach Post. The house has a huge television antenna. Those were the days before cable TV, satellite dishes, or WiFi. 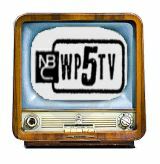 The television was likely a black and white console with only a few TV stations reached by dial, probably WTHS, channel 2,WJNO, channel 5, WEAT, channel 12, WIRK, channel 21. What is curious about the photo is the roadside citrus stand. 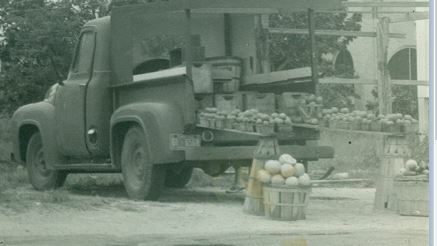 An old pickup truck with a makeshift stand is peddling grapefruit and oranges. Behind the truck are several lean-to’s or storage sheds with an assortment of old junkyard type objects lying about. I spy a child’s old rusted tricycle on top of the haphazard pile. I guess the city didn’t have code enforcement in those days. (Update: Wayne Kolendo tells us the small building with the tricyle, bike wheels and other items housed his bicycle repair/building shop. 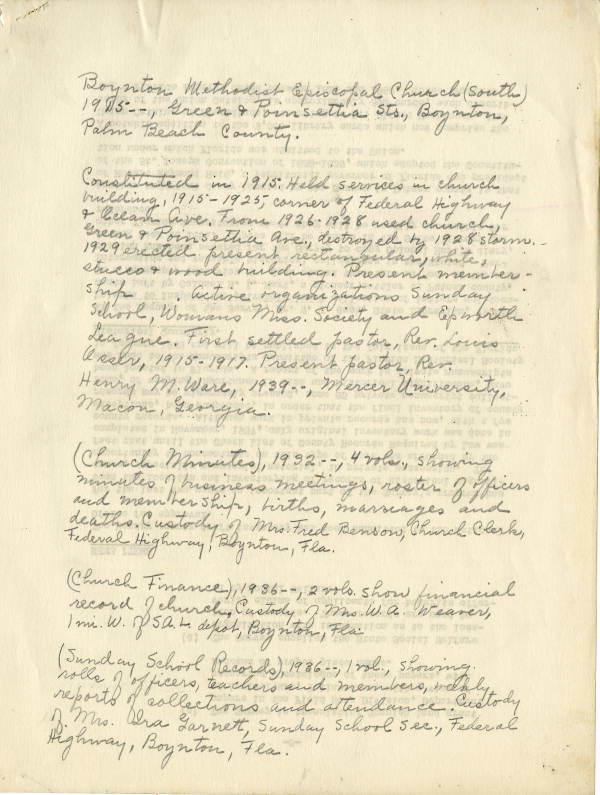 Kolendo was a mechanical entrepreneur during his high school years.). 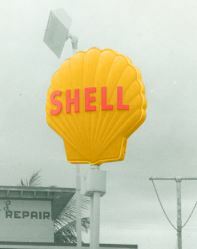 While no gas pumps are visible, one can’t miss the iconic yellow and red Shell Oil Company sign with the 1955 emblem. Using modern day magic, the original photograph by Stan Sheets is again glowing brightly. Next time you come across some old pictures, send them to us. You might see some of them featured here! *If any readers know Mr. Sheets, please let him know we are interested in talking to him, and thanking him for capturing and preserving our history. (8/21/14 update) We learned Stan Sheets left us in 2005. We are working with his family to honor him for his community support and for chronicling Boynton history. 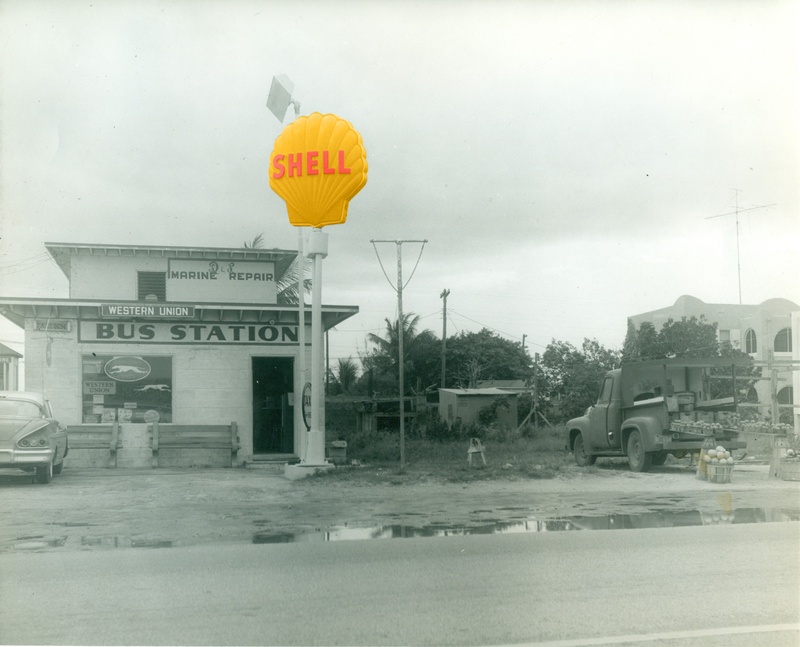 We also found another photo of the bus station/Shell Station. This 911 tribute is written by guest blogger Michael Landress of the Boynton Beach Fire Department. September 11, 2001 happened to fall on “B” shift for the men and women of the Boynton Beach Fire Rescue Department. I was working as the lead paramedic on Rescue No. 2 along with firefighter 3, Randy Jute and probationary firefighter, Adam Turey. 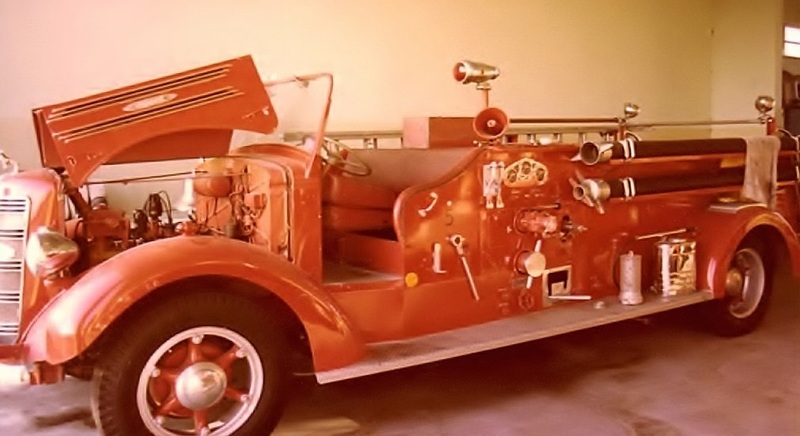 Our normal morning activities of inventorying supplies, checking vehicles, cleaning the station and perpetuating firehouse gossip was abruptly halted by a barrage of horrific images coming from national television broadcasts. We focused on the small TV in the kitchen to witness the top portion of the north tower of the World Trade Center being enveloped in thick, black smoke. The smoke was billowing uncontrollably from a gaping hole in the building and initial reports were unclear. However, I vividly recall reporters stating this may have been accidental. “A small plane has just struck the north tower of the World Trade Center . . . more details to follow,” one of them muttered. It was painfully obvious this was no accident as United Airlines Flight No. 175 slammed into the south tower in an exploding orange ball of fire and falling debris. The plane literally disintegrated into the building killing everyone on board instantly. Terrorists had planned and executed an affliction on American soil like no other time in modern history with perhaps the exception of Pearl Harbor. As Randy, Adam and I discussed our own strategies for combating such a blaze, the north tower began to buckle and crumble. This magnificent structure, now insulted by fire, collapsed in a huge cloud of dust that blanketed the streets of Lower Manhattan — forever shattering our sense of security. We realized that it was just a matter of time until the south tower would succumb to the same intense heat radiating from the burning jet fuel. It too, would finally collapse under its own great weight. It was surreal watching this calamity unfold on live television. My wife called the fire station — her voice cracking with fear as the twin towers disappeared from the New York City skyline. I desperately tried to calm her fears, while coping with my own. Our reality then set in when the station alarm sounded, summoning us to the first of many emergencies we would handle on this day. My emotions remained mixed throughout the arduous twenty-four hour shift. I was experiencing feelings of anger, grief, helplessness, but above all, I had feeling of unity and patriotism. Everyone we encountered, including patients, nurses, ER physicians and the notoriously cranky trauma surgeons offered support for what we were doing — simply our jobs. I’ve always been enamored with this profession, but never have I been so proud to have worked as a firefighter/paramedic as I did on September 11, 2001. On the first anniversary of September 11th, I was invited to speak to a group of young people regarding the events of that day. I chose words of celebration, not of despair. I reflected on the newfound sense of unity and patriotism I had experienced. Perhaps I am naïve, but I felt as though, albeit brief, that everyone in the country, regardless of race, color or creed, seemingly became one. We were all touched by this tragedy — not for the color of our skin, nor our political affiliation or religious beliefs, but simply because we are Americans. Who can forget the bipartisan, campy rendition of “God Bless America” sung by members of Congress on the steps of Capitol Hill? Yes, it’s true, some sang like squeaking hinges, but it was good to see cooperation and unity from our leadership. It’s troublesome to think it takes this type of cataclysm for the people of this great country to come together as one nation. 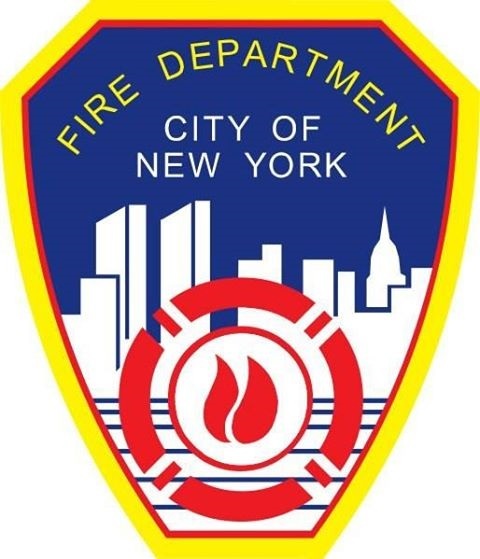 I will always hold the 343 New York City firefighters, the paramedics and emergency medical technicians, the police officers, the port authority personnel, our military and civilians who were murdered on that clear September morning in the highest regard. Meteorologists predict temperatures may reach 100 degrees this week in the Palm Beaches. What do people do when the temperature climbs to uncomfortable heights? They head for the refreshing air-conditioning of the movie theatre! 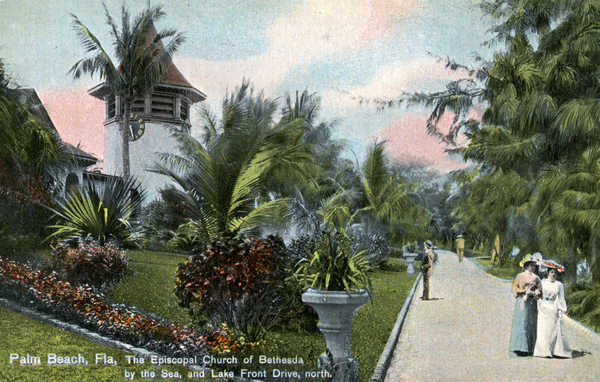 The Boynton Theatre at Lake (Boynton Beach Blvd.) and U.S. 1 (Federal Highway) originally featured silent movies, and a theatre employee provided dramatic music on the piano. The building had one screen and wooden floors. 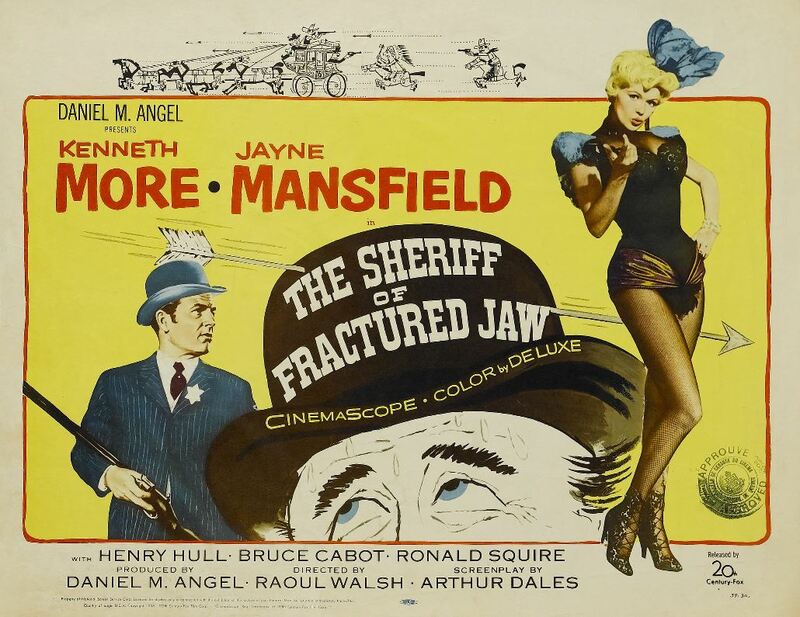 In the 1950s, a quarter-dollar bought two feature movies, a cartoon, and a newsreel. Popcorn cost 5 cents. 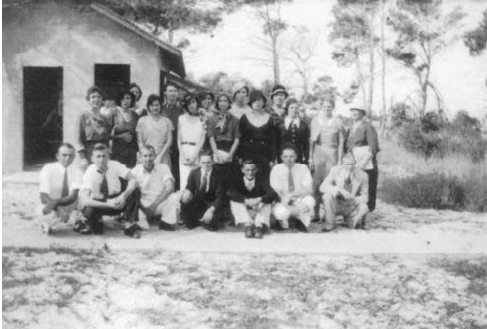 Church groups met in the theatre building before construction of their own buildings, and businesses occupied the second floor. 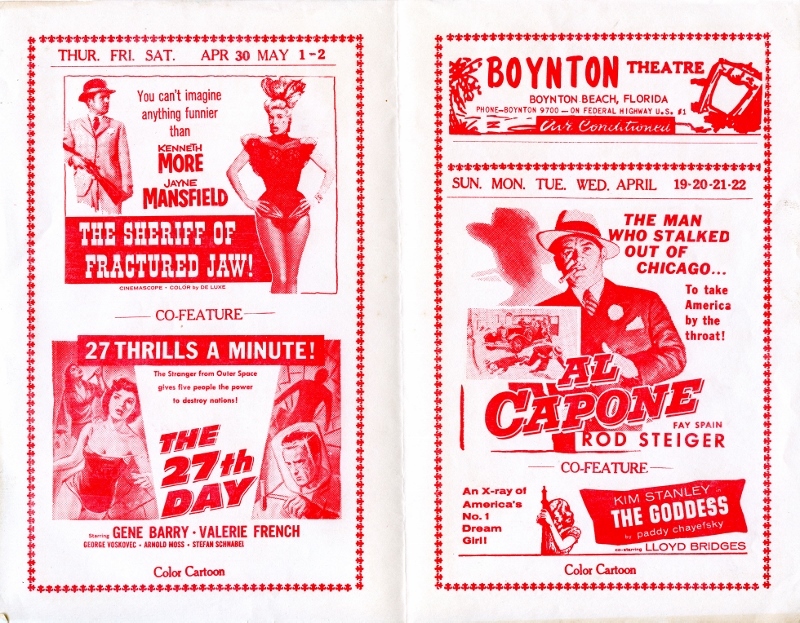 Vintage movie theatre brochures provide a glimpse back in time. Look at the entertainment selections from April 1959! 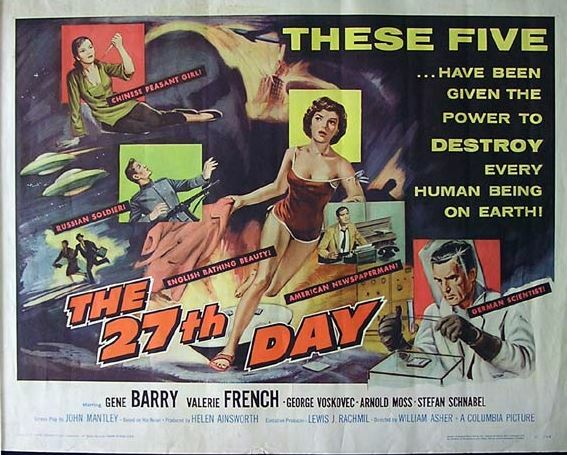 The Goddess (1958), a drama loosely based on the life of Marilyn Monroe, a 1959 biography of Al Capone, aptly called Al Capone, a 1958 British/American western comedy starring Jayne Mansfield and Kenneth Moore, and a low-budget 1957 science fiction film – The 27th Day, featuring flying saucers and aliens. 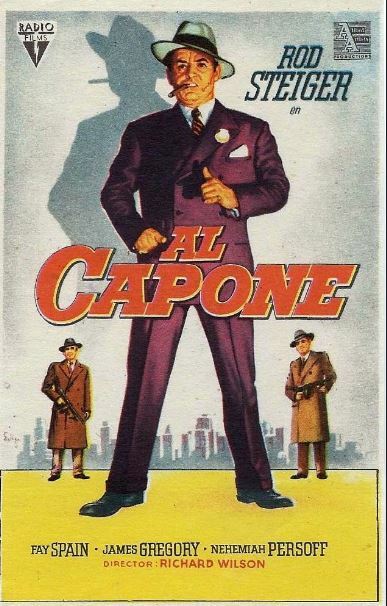 What does the spring 1959 movie selection tell us about the Boyntonites escaping to the movies? Did I mention the free air-conditioning?